My name is Kelsey Black and I’ve been a Zumba instructor for over 7 years. 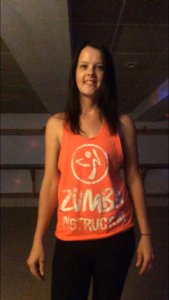 I fell in love with Zumba after my very first class and got licensed within the following month. Music has always moved me. When I’m not practicing new choreography, you can find me on a trail in the woods hiking with my dog Ivan. I love the outdoors and going off the grid. I believe we are all in this world to lift each other up and support each other.